There are moments in life when I wish I could just win the lottery. This is one of them. 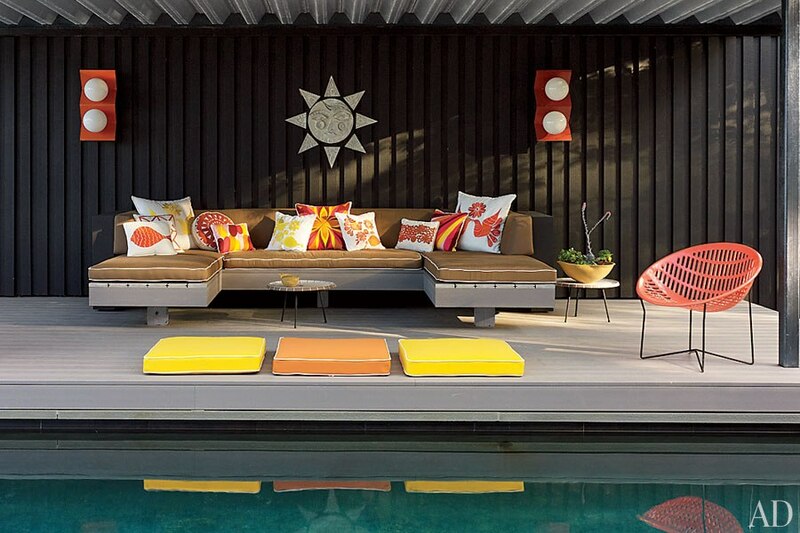 I was doing some leisurely Web browsing when I came across an article in Architectural Digest, featuring the home of designer Jonathan Adler and his husband Simon Doonan. 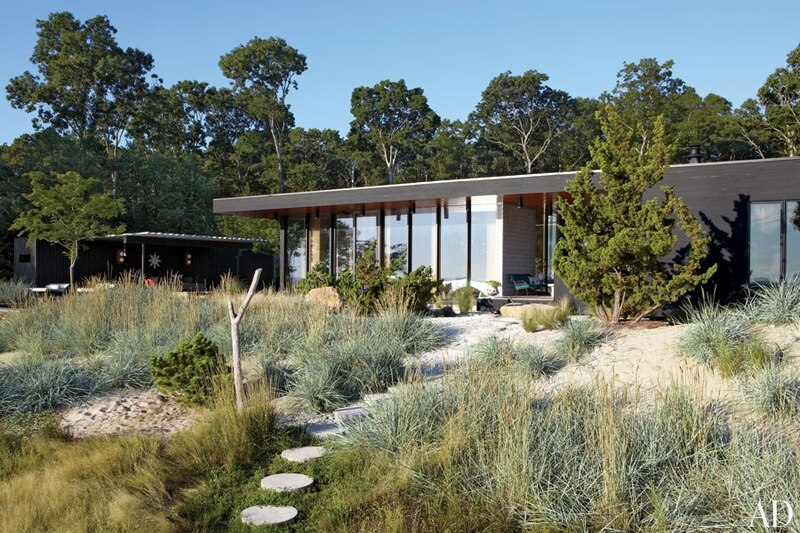 The couple purchased the 1960’s single-story, A-frame cabin on Shelter Island, a short ferry ride away from New York’s lux world of the Hamptons (hence, my lottery wishes). 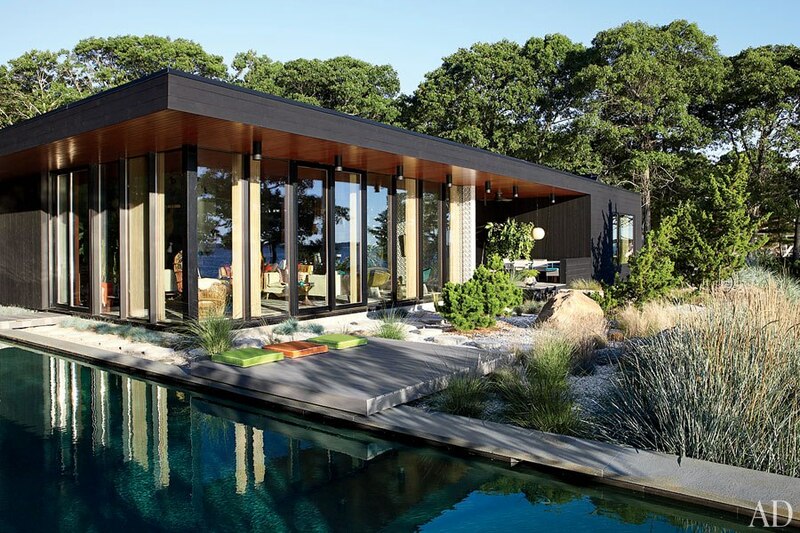 You can read more details about the house in the Architectural Digest article; I’m more concerned about sharing the eye candy that ensued during my browse. 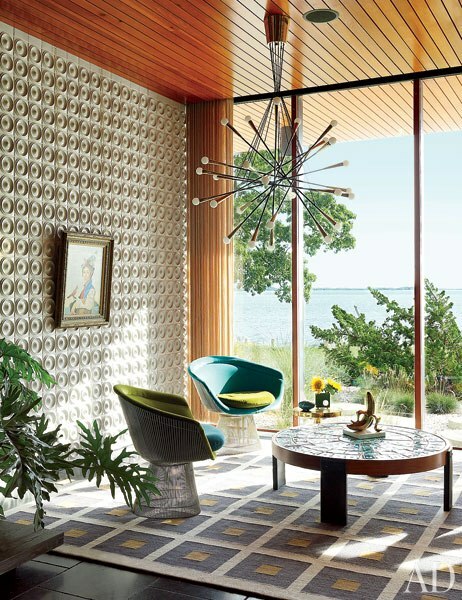 Floor to ceiling windows, custom ceramic tiles and Warren Platner lounge chairs by Knoll make this little nook one of my favorite spaces in the house…. 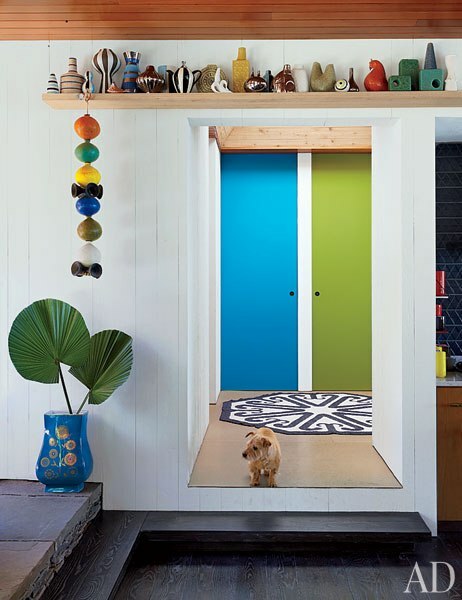 …while their cute little terrier and use of color make this hallway another favorite space of mine. The living room is a little cray design-wise in my opinion, but very reflective of Adler’s aesthetics. Adler has a background in ceramics and he draws his inspiration from mid century design, art, and global pop culture. I guess less isn’t more in this space. 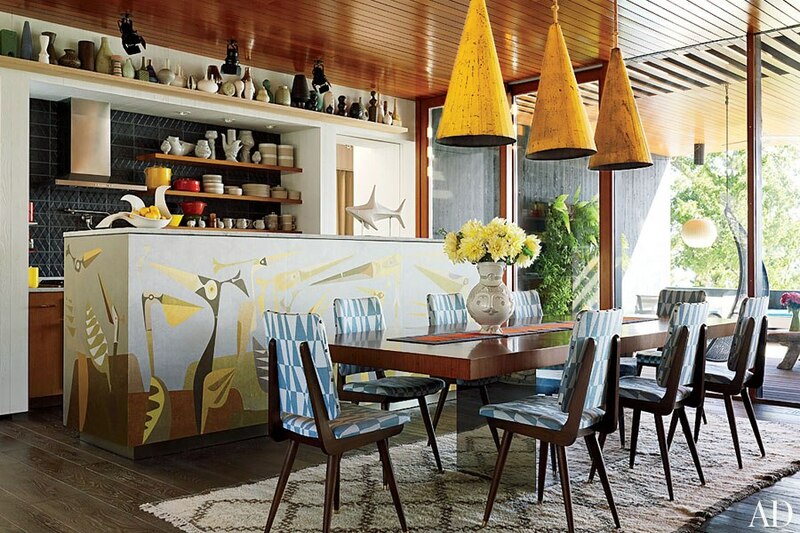 My eyes fixate on those dining chairs, but they quickly wander to the tribal-esque painting motifs on the center island. I’ve proclaimed my love of contrast throughout my blog: combining modern with traditional, and simple with ornate. This is one way of achieving it. I love the burlap curtains in the master bedroom, and the reading lights are unique. But I can’t take my eyes off that orange fuzzy juju hat that sits center stage on their tiled wall. The tiles continue into their master bathroom. I dig the light fixture and the sun face lamp. 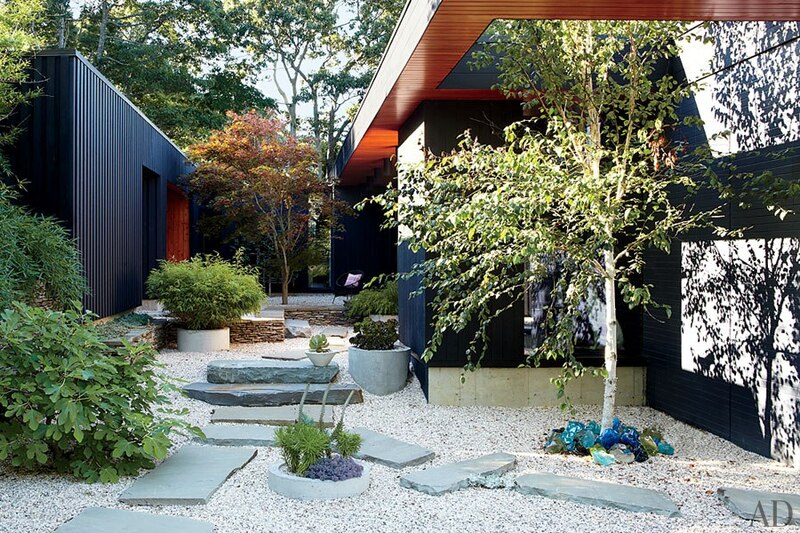 But what I love most about the house is its outdoor space. 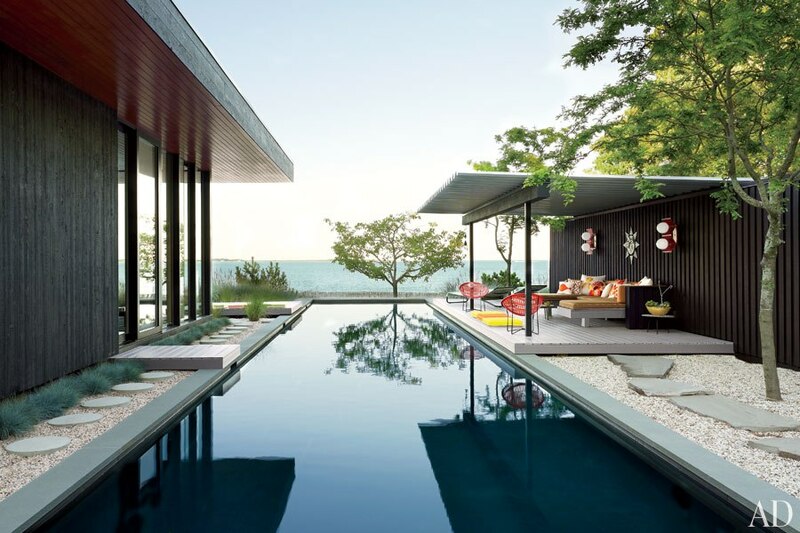 And the pool pavilion, aside from being a pool pavilion, boasts interest with unique accessories and color. I’ve had a love affair with the color orange since the 80’s. I credit my childhood friend, Tammy, for infecting me with this obsession. So off I go to the corner market for my lottery number picks this week. Wish me luck, and don’t be surprised if you see a future post featuring a similar house located somewhere in the Bay Area. Check out Jonathan Adler’s work at his store on Fillmore Street and online. OH LORD HAVE MERCY I LOVE THIS HOME! I picked up the book “100 Ways to Happy Chic Your Life” by Jonathan Adler, and much of his home is featured in this book. You should pick it up! Your favorite nook is mine too…and it’s featured on the cover. LOVE THE BLOG! Thanks for the book recommendation – I will check it out! And thanks for your enthusiasm for my blog! I SO appreciate it! 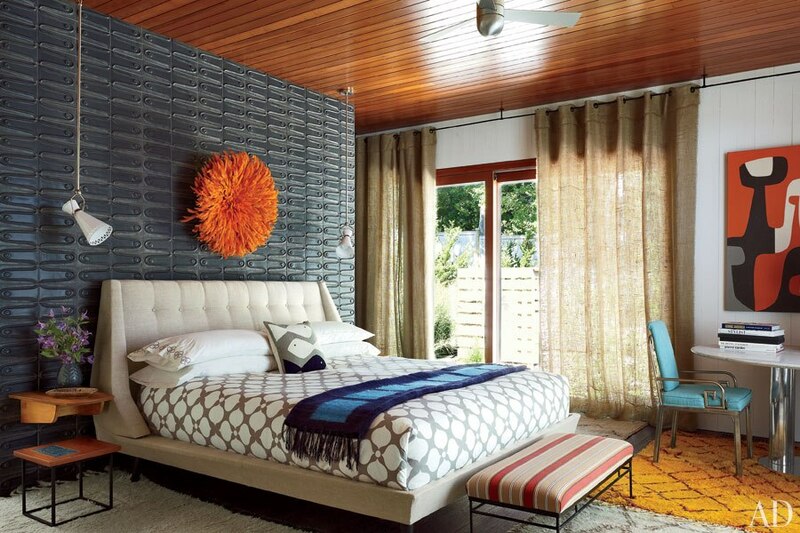 I LOVE the use of color and texture throughout this home! I think the Master Bedroom is my favorite. 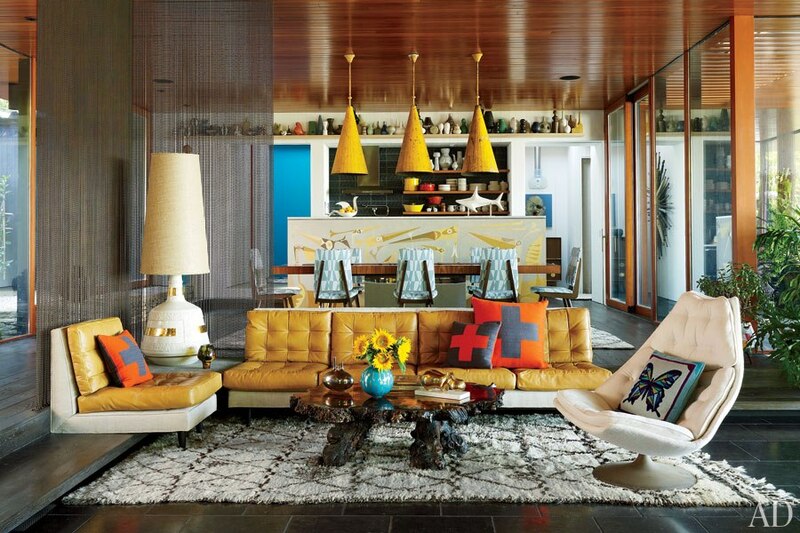 The yellow rug and teal chair are having a moment in that room that I really dig. 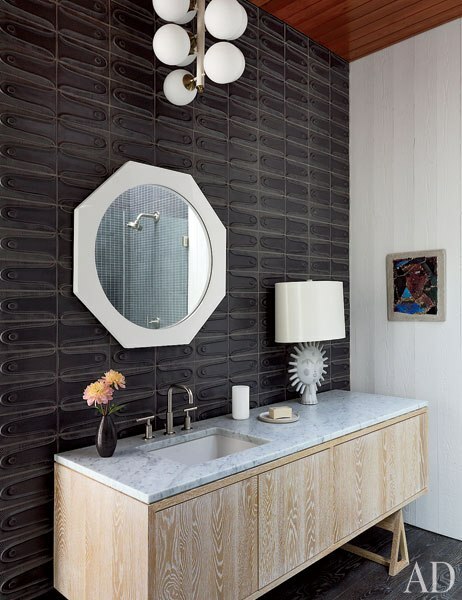 I follow Jonathan Adler on Instagram and am amazed pretty regularly by his design ideas. Great observation about the space in the master bedroom – I love it too! Teal is one of my favorite colors and it’s what I’m eyeing for my dining chairs (I’m restoring a set of mid century chairs and hoping I’ll find some teal wool blend textured fabric that is reflective of the era). Adler is pretty brilliant – I started out as a fan of his pottery and it’s been fun to see him evolve. Thanks for your comment!